The new restaurant/pub is located in the Sherwood Center for the Arts and will host a grand opening on Nov. 1. 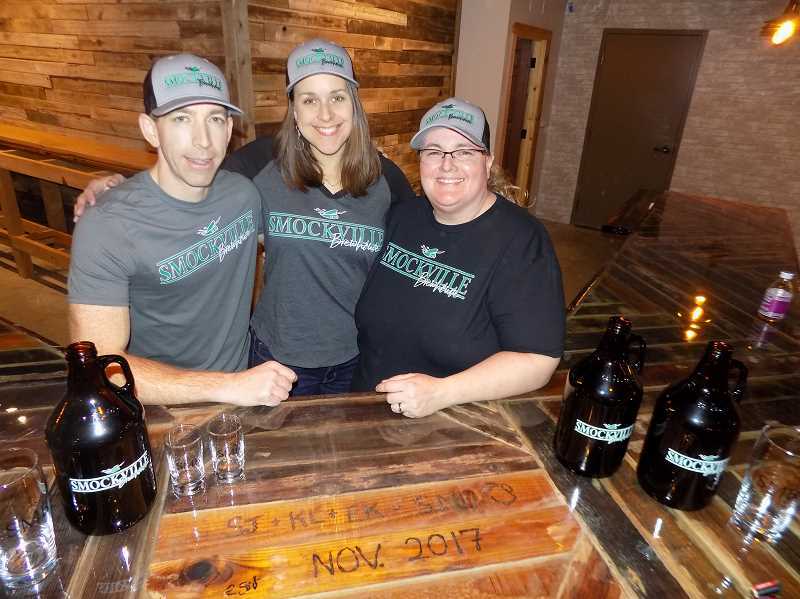 It's been a long journey since Shannon Johnson, along with the help of Keith Laber and his wife Erin Koenig, began thinking of creating their own restaurant/pub in Old Town Sherwood. 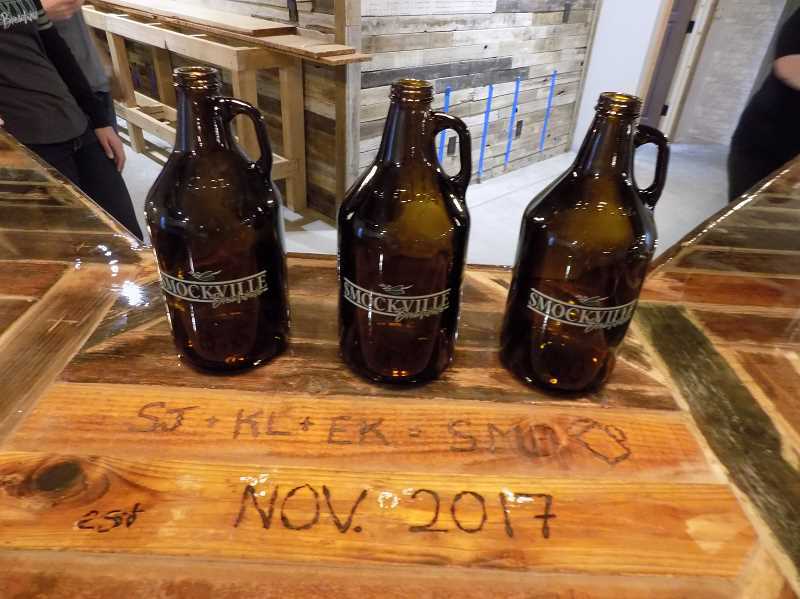 However, after months of hard work and planning, Smockville Brewhouse will host its grand opening on Nov. 30 at 4 p.m. Located in 3,000 square feet of space in the Sherwood Center for the Arts, the on-site brewhouse and restaurant will be a "full-meal deal," according to Johnson, who also owns and operates Trees Restaurant in Sherwood. Now Johnson is betting that using fresh, mostly locally sourced ingredients, as well as making everything in house, will go great guns. "We're so excited," said Johnson about the restaurant's opening. Johnson says the new brewhouse, which takes its name from Sherwood's original name, will serve elevated pub food. That will include such items as a hot pastrami sandwich, homemade Italian sausage and bratwurst along with smoke salmon and pickle fries. Meanwhile, the onsite brewing operation will feature the creations of Laber and Koenig (who say starting up the brewery has been lots of fun) and their 12-11 Brewing label, which currently brews exclusively for Smockville and Trees Restaurant. Some interesting brews will include Courtside Grapefruit Wheat and Sugaz Coco Brown, which incorporates toasted coconut and chocolate nibs in its beer. "It's awesome," Johnson said of the unusual beer lineup. Also included in front of the brewing facility will be a rollaway bar with plans to serve dinners inside the brewery itself, which can be concealed if needed via a roll-down door. The décor includes extensive use of reclaimed rustic wood that came from an old fence in Aurora. That same wood is coated with a thick coat of resin and covers a spacious bar. There are also rustic-looking chandeliers that can be raised and lowered via hand-pulled pulleys. Other bells and whistles include an open kitchen where patrons can literally sit at the kitchen bar and watch their meal being prepared in front of them. "I want it to be really open," said Johnson, whose restaurant will include seating for 100 as well as outside seating. "I want it to be airy." The restaurant will hold a soft opening the week of Nov. 27.